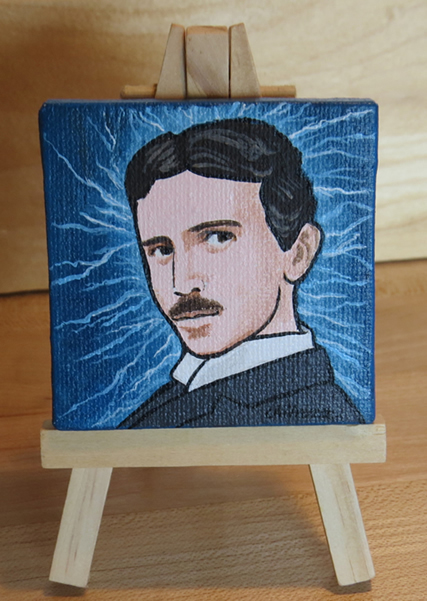 Nitrozac paintings: Tiny Tesla! SOLD! ***This painting sold! *** Thanks to the fantastic bidder! 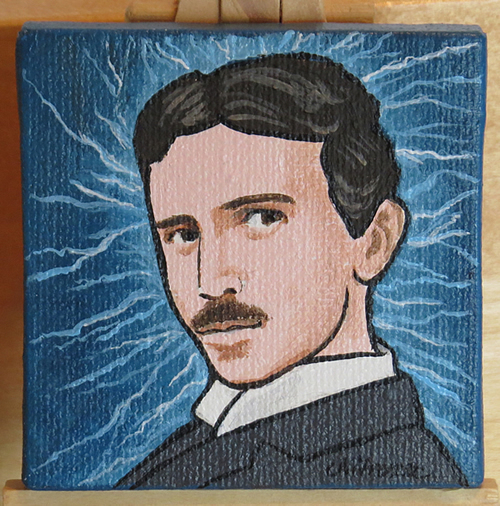 I am proud to present to you my latest painting, Nikola Tesla. 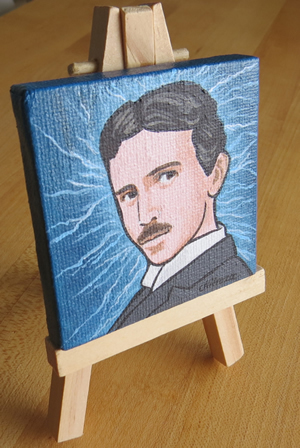 This tiny Tesla is an adorable miniature painting, 2.5 inches by 2.5 inches square, painted on canvas stretched over a tiny wooden frame. It comes with an equally adorable miniature easel, made of wood, and standing about 5 inches high. I know the new owner of this delightful object will enjoy it as much as I do. He looks amazing on the little easel, and would also look pretty cool with the tiny painting mounted directly on a wall.